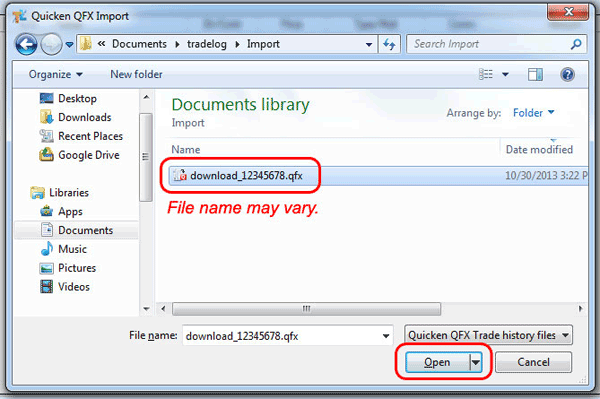 Note: TradeLog imports from a downloaded TradeKing Quicken (*.qfx) file. Go to the TradeKing web site and log in to your account. 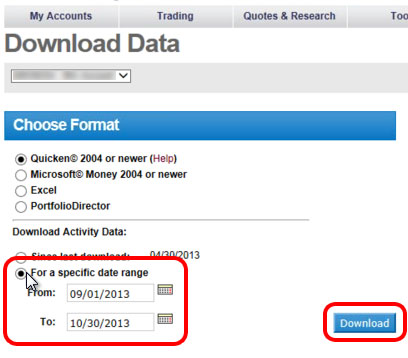 Navigate to the My Accounts menu, select the My Account Records option, then select Download Data. 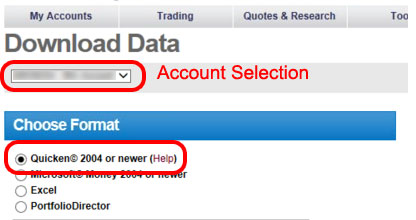 If you have more than one account, confirm the account selection drop down is set to the account you need to download data for. Under Choose Format select the Quicken 2004 or newer option. Options for date range should appear, select the option For a specific date range then enter the From and To dates required. Click the Download button and follow the instructions for the web browser you are using to save the downloaded QFX file. For best results, save the QFX file to your: ...\mydocuments\TradeLog\import directory. 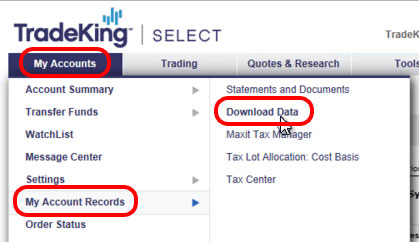 Please make sure you have selected the TradeKing (*.qfx) import filter for the account tab you are importing into. To change the import filter for an account tab see the topic Modify Account and Broker Information. Click on the TradeKing Imp speed button. Select the appropriate *.qfx file that you downloaded, and click on the Open button. If you saved the downloaded file in a different location you may need to navigate to that location to select it. Your trades will be imported and automatically matched.